Scrubber system is said to be the largest ever sold and the first to clean exhaust gases for both the main and auxiliary engines. Leading equipment supplier Alfa Laval has signed a contract with transportation company Spliethoff to retrofit a multiple inlet PureSOx exhaust gas cleaning system on board one of Spliethoff's vessels, which operates mainly in the North European ECA area. It is the first order received by Alfa Laval for such a multiple inlet system. Since the vessel's engines have a combined rated output of 28 MW, this will be the largest marine scrubbing system ever sold, according Alfa Laval. The system is also said to be the first to utilize just one scrubber to clean the exhaust gases for the main as well as the auxiliary engines. René Diks, Manager, Marketing & Sales, Exhaust Gas Cleaning, Alfa Laval said: "For the retrofit market, where space and weight are critical issues, it is essential to be able to supply a single scrubber that handles exhaust gases from all the ship's engines. Other advantages include lower energy consumption, less piping and lower maintenance costs." Alfa Laval already has another system in operation on DFDS Ficaria Seaways. This system treats the exhaust gas of a 21 MW MAN main engine and is currently the largest scrubber in operation in the market. To date, the system has completed more than 4,000 operating hours. Frank Louwers, Director of Spliethoff, commented that investment in this technology ensures that Spliethoff will be well prepared to meet the upcoming sulphur legislation in 2015 (0.1% limit) in European and American ECA waters. It is expected that the scrubber installation will deliver significant environmental benefits. 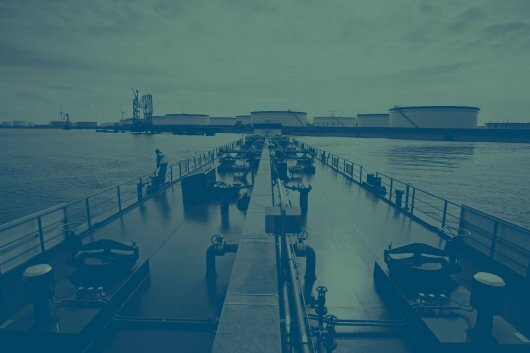 "Financially, sailing on low sulphur marine gas oil is simply not an alternative for a company wishing to remain a dominant player in this market segment," said Louwers. "Already today the price difference between heavy fuel oil and low-sulphur MGO with 0.1% sulphur is approximately USD 300 per tonne." PureSOx, with a sulphur removal rate of more than 98 percent, is a hybrid system that can operate on either sea water or fresh water. The ability to operate the system in sea water mode is said to provide significant savings on caustic soda and fresh water consumption. In areas with low alkalinity the system will switch to fresh water mode. In this mode, the water used for cleaning the exhaust gas is circulated in a closed system with zero discharge to the environment. Alfa Laval high speed separation technology is used to clean the effluent to ensure compliance with effluent water discharge criteria. To minimize the energy consumption of the scrubber, the water flow is automatically adjusted to the engine power. The system is also designed to vary the water flow depending on the sulphur content in the fuel. René Diks said: "With PureSOx installed, shipowners can continue operating on high sulphur heavy fuel oil instead of more expensive low sulphur marine gas oil, while meeting increasingly strict IMO regulations regarding sulphur oxide emissions.